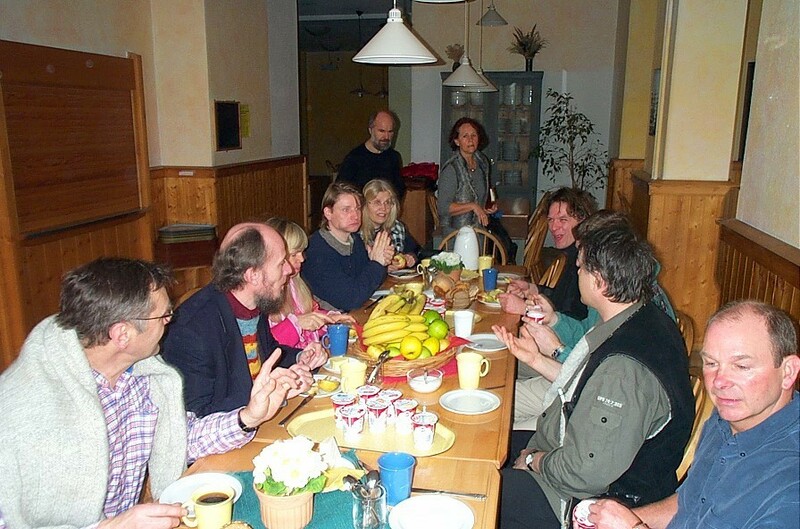 In March 2001 (15-18) in Hamburg met Horand and Karin Gärtner (D) , Gundolf and Monique Kühn (D), Clifford Paterson (GB), Horst Nieder (D), Kjell Andersson (S), John Bryan (GB), Eric Speelman (NL), Steffen Klepzig (D) . Absent has been Rostislav Anton ( CZ) and Murray Wright (AUS) . The connection of the Lyre Builders starting already before. Leier 2000 was continued in this days with the results that an international coworking will take place in the future. This website is a result of one of the decisions as an information and communication platform. Everybody should know, that the main-result now is the coworking of the Lyre-Builders and so the different meanings and thoughts in the past about this themes should be left in the past. The members of the Lyre Association International decide together the admission of other Lyre-Builders into the Association. If you are interested for more information please contact one of the partners.